Hi everyone! Welcome back to the Knowledge Pool! This week we’re beginning a new miniseries I’m lovingly referring to as the “Nightmare Series.” The concept of this series is simple: demo the decks that haunt our dreams. I think most of us with consistent playgroups have a deck or two that always seem to be a thorn in our side. It doesn’t matter what you’re playing, the Nightmare deck is always there, crushing your dreams, ruining your plans, and staying one step ahead of you. Mason at the Underdog’s Corner captured this idea in his Halloween special, describing the Savra, Queen of the Golgari deck that gave him fits for so long, and I think it’s time that we turn this idea into a more permanent aspect of the Knowledge Pool. Gather with me and listen as I recount the decks that have given me the greatest headaches in my Magic career. This series will take several departures from our typical programming. Normally for this series, I put together a decklist and do research to gain insights into the strategies that work and those that don’t. Ideally, I’ll find time to get some test games in with the decks I present, so that I can add in my own insights, but the amount of wisdom I can include is proportional to the age of the deck. For the Nightmare Series, I have a unique perspective to present: I’ve been on the receiving of these decks many, many times. Because I’ve been on the receiving end of these decks, I know the strategies that caused me the most problems, I know the strategies that were most effective for me when trying to counter the deck, and I know the mindset I had to adopt when playing against it. I have a general idea of the kinds of the cards the deck played, but given my detachment from these decks for some time I now, the decks I’ll be presenting to you are creations of my own. Without further ado, we’ll begin with one of my most vivid nightmares, Marchesa, the Black Rose. Let’s quickly take a look at what Marchesa offers. Marchesa gives our creatures Dethrone, which means that our dudes will get counters when they attack the player with the most life. This means two things. First, we want a handful of ways to self-inflict damage so that we never have the most life. Second, we have the political advantage of being able to attack the player with the most life without appearing to choose sides. But the aspect of Marchesa with which most players are familiar is the second ability: whenever a creature with a +1/+1 counter dies, return it to the battlefield under your control at the beginning of the next end step. This means that after we’ve triggered Dethrone, all of our dudes, including Marchesa, have a veil of protection. These are a lot of abilities to consider at once, but the small details also lead to a lot of interesting deck building space. 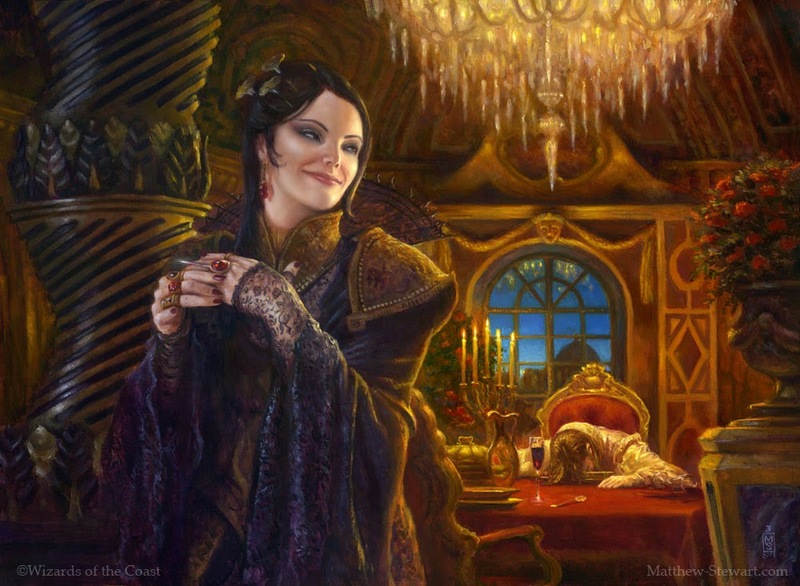 When Marchesa was first spoiled in the original Conspiracy set, I was ecstatic. Being the Timmy I am, I couldn’t be more excited to reanimate fat creatures. In retrospect, building the deck as a simple Grixis reanimator build could work, but I would have missed out on many of the subtleties Marchesa offers. As you may have inferred by now, I never built a Marchesa deck, and the reason by now is probably obvious: a friend of mine built her first. My friend built Marchesa as his first EDH deck, and one of the primary benefits of watching him build the deck was that I got to see the transitions he made with each iteration. 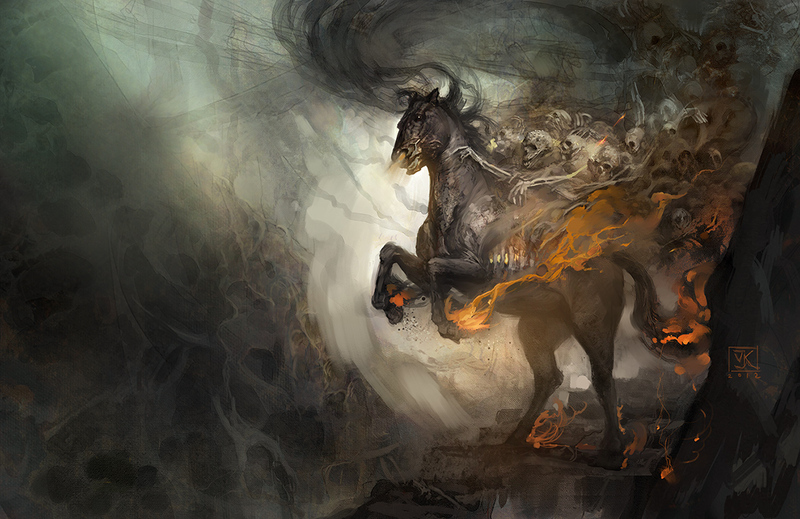 Years after the deck’s initial inception, his Marchesa deck was a monster to be feared. Let’s discuss what makes Marchesa so fearsome. First, It’s important to be clear about the style of deck Marchesa helms. Marchesa works particularly well as a deck aiming to establish an engine, and in general this engine is made up of the following components: a sacrifice outlet, a board of creatures with enters- or leaves-the-battlefield triggers, and, of course, Marchesa herself. Once the Marchesa player has gotten counters on their creatures, removing them is no longer trivial, and doing so will require several spells. In fact, Marchesa is so resilient when it gets rolling that I began to adopt the strategy of disrupting Marchesa before she could get established. This meant killing Marchesa on sight, removing her engine pieces before she could get them firing, and packing extra graveyard hate to act as a double tap for my removal and to turn off her sac outlets. As many of you can see, this poses a slight problem from a political perspective, because it can be perceived that you’re perpetually targeting the same player. The distinction is that you are targeting the commander, not the player. In other words, the hate isn’t personal, it’s aimed at that crafty Grixis legend. Even so, I ran into many situations where the mood of the table would sour due to my focusing of the Marchesa player. 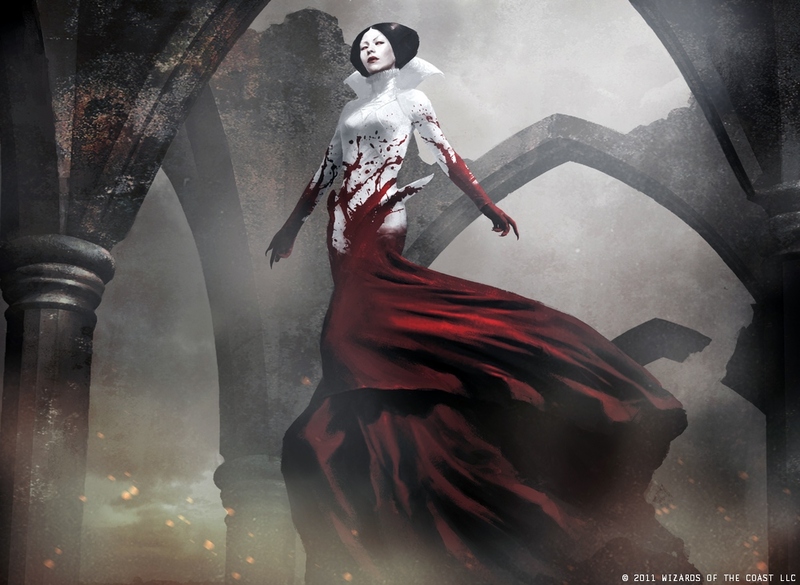 I can safely say, after detachment from the situation, that I was tactless in my approach, and primarily in the wrong, but my reaction to the situation begs the question: what was so horrible about playing against Marchesa that always brought my blood to a boil? As a Timmy and a lover of creatures, it turns out Marchesa is perfectly poised to ruin my day. Marchesa’s creatures are resilient. I can’t hammer home this point enough. What makes this so challenging to counter is the fact that traditional means of creature control are largely ineffective. 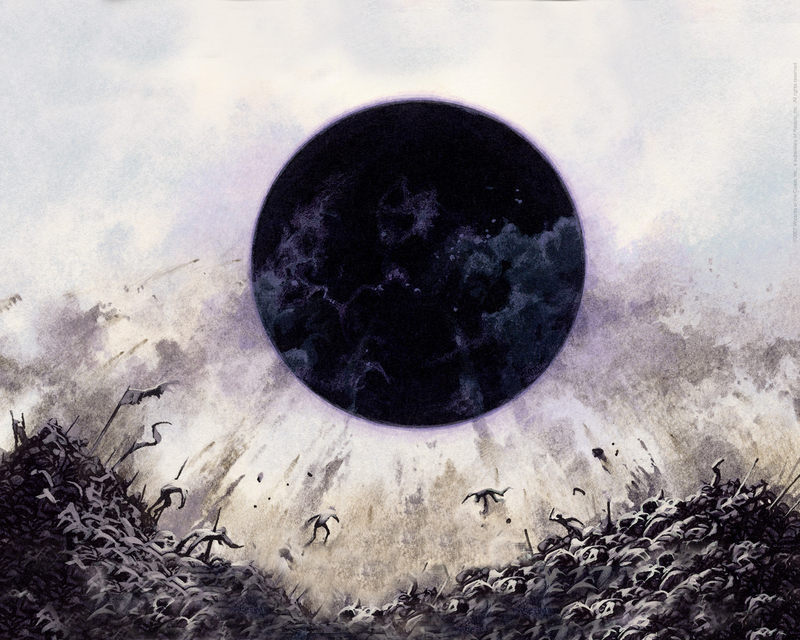 Got a Wrath of God to curb Marchesa’s ever growing horde? Well, you’ll need to do better, because her creatures simply don’t care. In fact, the Marchesa player gets to play a heavy density of Wraths since her creatures are virtually immune to them. But what if my Wrath exiles/tucks creatures? Also ineffective. Marchesa will just sacrifice all of her creatures and bring them back once the exiling has passed. Fine, I have graveyard hate, that will do the trick! Well, I sure hope your hate is Rest in Peace, or it might not work well enough. Marchesa is blue and black after all, so she can recoup her losses in a hurry. What if we just kill Marchesa? This approach can work, but if you let Marchesa get a counter herself, expect her to survive even after several removal spells, no commander tax required! These reasons represent a conundrum: most of the traditional approaches for countering creature strategies fail to phase Marchesa, but she can effectively use them against you with no repercussion. My poor Mayael the Anima deck never stood a chance! 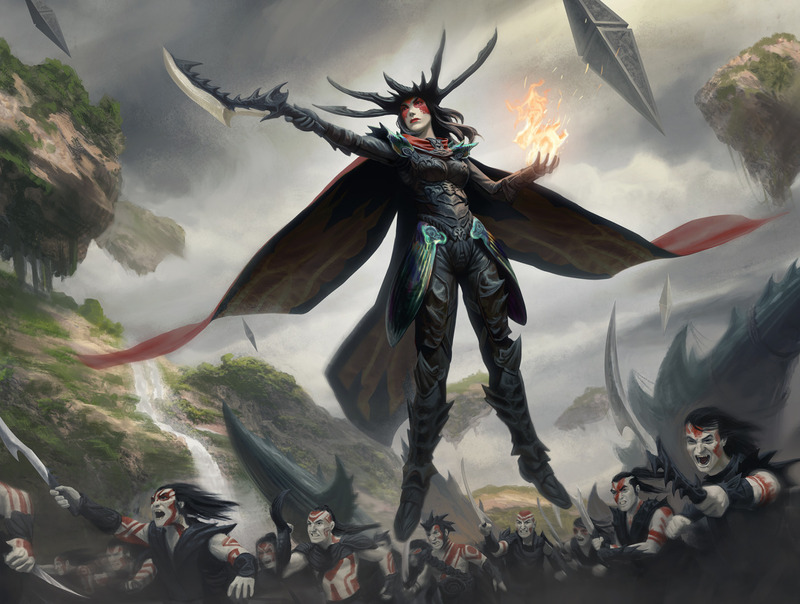 I know what you’re thinking: “Scot, you’re playing Mayael, you have giant creatures, just stomp on those Grixis shrimps!” And my response, dear reader, is that I had this exact same thought. That is, until I learned that Marchesa can steal our creatures with any number of Threaten effects, slap a counter on them, and then sacrifice them. Marchesa doesn’t just bring creatures with counters back to the battlefield, she brings them back under her control. My giant beast now belongs to my enemy. Trust me, there aren’t many feelings worse than having your Avacyn, Angel of Hope seduced my Marchesa’s wiles, and situations like this explain why Homeward Path will forever remain a >$5.00 card. In summary, Marchesa is quite good at several things: controlling the board, presenting resilient threats, and accruing value by reusing creature-based abilities. Because Marchesa is Grixis, she’s very good at killing creatures and drawing cards, and has several tools for eliminating artifacts. Marchesa’s primary weaknesses are grave hate, enchantments (Grixis has limited options for dealing with these), and limited counter backup for combo strategies. In a group playing 75% decks, Marchesa offers a potent strategy that’s challenging to overcome once it gets rolling. When preparing for this article, I was surprised to find that there is relatively little written about her. Let me clarify. If you do a google search for Marchesa deck primers, most of the blog posts and articles are ages old, or else focused on making the most competitive builds possible. Most of these posts are also from when Marchesa was first spoiled, and aren’t able to account for any of the more recent cards that are available for Marchesa’s arsenal. The one more recent primer I was able to find was written by Lokotor on Tapped Out. I highly recommend checking out Lokotor’s primer before reading the rest of my article, because they provided valuable insight and evaluation of many of the more recently released cards. I took these perspectives into account as I built my own list, especially when planning out the strategies I would consider my win conditions. With these ideas in mind, my version of the deck aims to emulate the version that gave me many struggles in the past. My deck attempts to control the board while building card advantage with a creature-centric package. Ultimately, this deck aims to overwhelm the board, with the potential for combo as a back-up. This build of Marchesa has an average cmc of 3.29, with the bulk of our spells costing two or three mana. I aimed for this leaner curve as a nod to the fact that our ramping options aren’t amazing outside of green. As a whole, I’ve tried to keep this deck fairly balanced. We have roughly 10 pieces of creature removal, 10 pieces of ramp, and 10 pieces of draw power. Of the creature removal spells in the deck, I skewed heavily towards Wraths, with a total of 6, and I tried to make the remaining removal modal, for versatility. I’ve noticed that many decks aim to run spells like Grave Pact and Dictate of Erebos, and while I like these cards in aristocrats style decks, they seem a bit more situational here. My problem with these types of cards is that they become excellent creature removal once our engine is rolling, but if we’ve been set back, they represent little impact on the board. Lokotor’s build does opt for these spells, but they also aim for a more “aristocrats” style of deck than mine, with cards like Arcbound Worker and Rakdos Cackler to be used as reusable sacrifice fodder. An immensely important element of this deck are the sacrifice outlets. If our engine is Marchesa + creatures + sacrifice outlets, the sacrifice outlets are the one component we’re least likely to have access to. When considering the potential outlets, I chose ones that were free to activate, and I wanted them to be able to activate an infinite number of times. Ideally, our sac outlets would be creatures themselves, so that they have the potential to benefit from Marchesa’s protection. 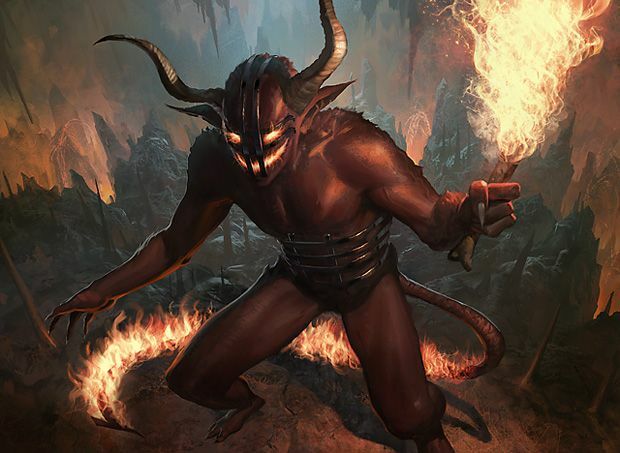 Four of our sacrifice outlets are creatures, while three are noncreature permanents that were too good to pass up. We’ll get more into these later. Beyond these categories, we have a smattering of other abilities. We have several ways to make extra dudes, a couple ways to steal creatures, a few extra ways to give our dudes counters, and a couple of counterspells to keep our opponents honest. While this deck isn’t a reanimator deck, I have a couple ways to enslave the undead for the instances when Marchesa can’t save our dudes. These components still need some tinkering. For instance, we’re not a particularly blue-heavy deck, so holding up UU for Counterspell might be challenging. Then again, I’m hopeful that the mana base I’ve put together will limit these challenges, but this is the sort of wisdom I can’t yet offer with my limited play experience. The last thing I haven’t talked about are our creatures, but in many cases, my description of our creatures is already wrapped up in the above categories. Given that I want reusable value from our creatures, I’ve tried to select those that can draw cards, remove problems, or sacrifice dudes. These categories don’t capture all of our creatures, but I’ve tried to fill out the critical abilities of the deck with bodies. So where do we start? Let’s begin with the stars of the deck, the creature suite, and focus in on some of the synergies I’ve included. I pointed out that our creatures have a variety of abilities, so I will be categorizing our dudes as we get into each of the deck’s elements. For now, however, I just want to point out a few of our dudes that have particularly potent synergies. I have a small subcategory I refer to as “makes dudes,” and three of those four cards are creatures. Creatures that make their own counters are particularly powerful in this deck, as they aren’t even required to attack to garner Marchesa’s favor. One such creature is Chasm Skulker. With our ~10 ways to draw cards, Skulker will get big quickly, but more importantly, he’ll make a sizable army of Islandwalking dudes. This is one of those cards that seems fairly innocuous at first glance, but I can say from experience that it gets out of hand quickly. A bunch of baby 1/1s don’t seem threatening, but in a great mass they become pesky, if not deadly. Another card that seems fairly innocuous is Reef Worm. I’ll admit, Reef Worm takes some work to get going, but I like the fact that we can spend four mana and quickly generate a 9/9 with the help of a sac outlet. The other element I quite like about Worm is that it’s happy to suicide attack an opponent as long as it will trigger the Dethrone ability that Marchesa grants. 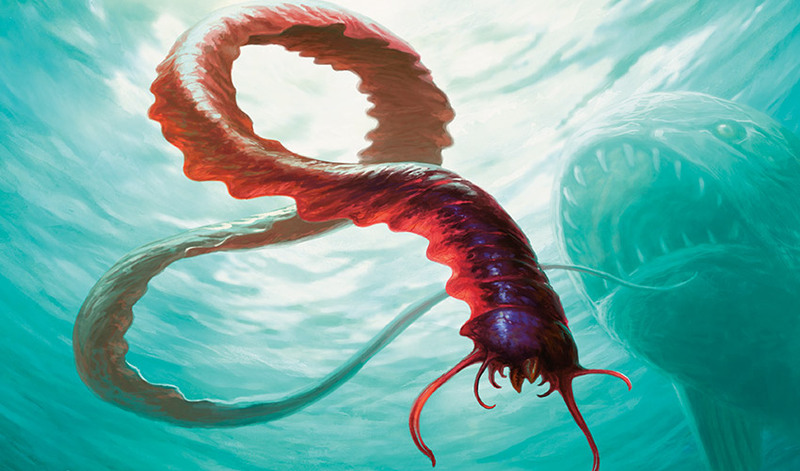 If we can find a way to start bringing back our Reef Worm every turn, our opponents are going to have a headache trying to deal with our army of giant sea beasties. The last dude maker is not innocuous. Everybody is familiar with Grave Titan, and he takes the concept of “army in a can” to the next level. Making two 2/2 Zombies upon ETB is great, but if our opponents foolishly let him survive to attack, not only will he make more Zombies, he’ll likely get a +1/+1 counter, representing a constant stream of dudes. I would like to point out that I selected Grave Titan over Wurmcoil Engine. Wurmcoil makes much better dudes when he dies, but I like that Titan gets his ability without needing to die. This helps ensure that we’re not blown out if we can’t get Marchesa going. In addition to dude makers, we have a small suite of creatures aiming to steal things. The first of these is Cytoplast Manipulator, a card I originally overlooked until reading Lokotor’s primer. Manipulator is surprisingly modal in this deck. The most obvious thing we can do with her is to Graft a counter onto an opposing creature, steal that creature, and then sacrifice that creature to keep it permanently. We can also Graft counters on to our own dudes if we’re worried about them surviving around the table. The part about Manipulator that I originally overlooked, however, is that we can sacrifice her while she has a single counter, and reset her if we have Marchesa on board. It may be a little slow, but if uninterrupted, we can lay claim to every creature our opponents control. Originally, I had Dack’s Duplicate in this deck, but when reading Lokotor’s primer, they quite correctly point out how much more versatile Hostage Taker is in this deck. The key with Hostage Taker is that she acts as permanent removal for creatures and artifacts, even if we never get around to recasting the spells she steals. This makes Hostage Taker a reusable source of removal when combined with Marchesa, and the possibility of stealing a card like Sol Ring is tantalizing. The last thief in our army is Zealous Conscripts. It may seem strange to see Conscripts in a deck without her partner in crime, Kiki-Jiki, Mirror Breaker, but we’re not aiming to combo (although you could if you wanted to). I like Conscripts here because she can steal us a creature, and both Conscripts herself and our newly conscripted will have haste, leading to some easy Dethrone triggers. This just seems too consistent to pass up. Now let’s talk about a few dudes that can draw cards. Everybody knows about Mulldrifter, but what about Bloodtracker, or Toothy, Imaginary Friend? Both make their own counters, which makes our job easier, and both represent relatively consistent sources of card draw. Bloodtracker is essentially a Greed on a stick, and the more we pay into him, the more threatening he becomes. Toothy is more similar to Chasm Skulker, growing big quickly, and then drawing us loads of cards when he leaves play. One concern we might have with Marchesa is that our creatures are vulnerable if they come into play after Marchesa, unable to come back without a counter. One solution to this problem is to grant our creatures haste, to attack and get a counter right away, but the solution I’ve opted for is to have a few additional ways to put counters on our creatures outside of Dethrone. While not a creature, our best option (and one of Marchesa’s signature cards) is Unspeakable Symbol. Unspeakable Symbol does everything we want, burning our life total in exchange for counters. Symbol is the most unconditional option we have, but Sage of Fables is another option that will offer us free counters on a select few creatures. In particular, curving Sage of Fables into Marchesa will help us protect her preemptively. 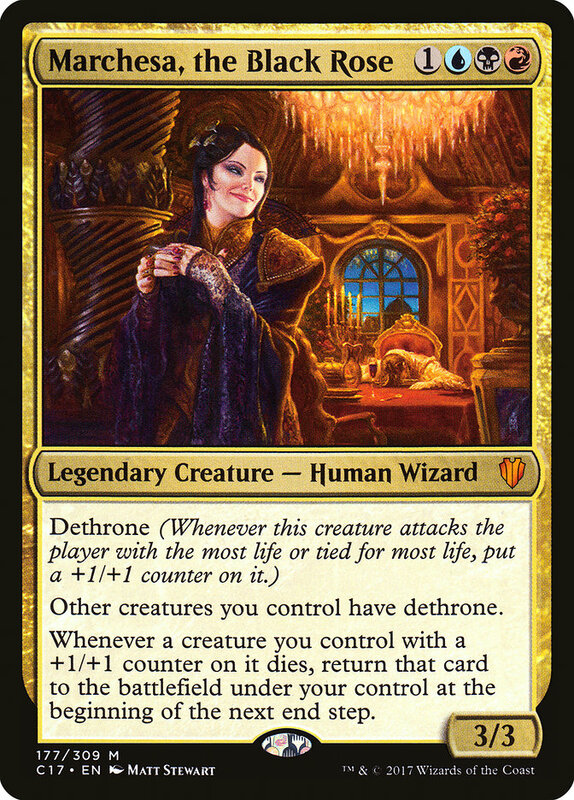 Lastly, Drana, Liberator of Malakir offers a secondary option for our creatures to start accruing counters in preparation for Marchesa’s arrival. What’s left for us to talk about? I want to quickly highlight a couple cards that could be considered win conditions. Mikaeus, the Unhallowed unfortunately doesn’t work with Marchesa herself, but with almost every other creature in the deck he’s straight filthy. We sacrifice our dudes, they come back with counters, we sacrifice them again, and Marchesa brings them back. Rinse and repeat. The traditional combo with Mikaeus is creating infinite damage with Triskelion, but Triskelion is a little bland in a deck like this. How about Deathbringer Thoctar instead? Thoctar was recommended to me by the aforementioned Mason from the Underdog’s Corner, and I quickly swapped out Triskelion for this great suggestion. What I like about Thoctar here is that he synergizes with the rest of our strategy, growing bigger as dudes die and representing a real source of removal and burn even without Mikaeus. Luckily for us, Mikeaus + Thoctar still represents the same combo potential as Mikaeus + Triskelion, so we don’t lose out on a potential backdoor win (although Mike + Thoctar does require us to have a sacrifice outlet). Finally, Flayer of the Hatebound can quickly close out a game, and thanks to its natural Undying trigger, it will be challenging to permanently remove. For those of you unfamiliar, you can think about Flayer of the Hatebound like Warstorm Surge on a stick. This is our win condition for when our engine is rolling. A note on gameplay: you may have noticed something about the creatures I’ve described so far – most of them cost three or more mana. 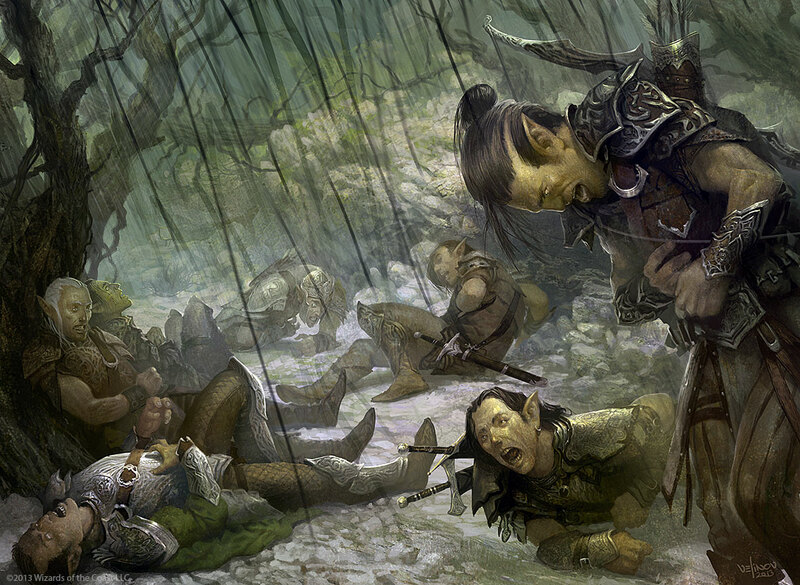 While there are some exceptions, like Baleful Strix and Oona’s Blackguard, it means that in most situations we need to be conscious of how we sequence our plays. I’ve built our ramp suite such that the bulk of our options are around 2cmc. This means that by turn three we should be able to cast our four-drop creatures most of the time. Here’s what you should consider: if you hit a ramp spell on turn two, consider playing a creature from hand instead of Marchesa. In most cases we won’t want to cast Marchesa into an empty board, and we’re best served by slow-rolling her until we have the rest of our engine pieces ready to go. Now that we have a better understanding of our synergies, let’s dive into the sac outlets that will keep our creatures on the verge of death. I briefly described this suite of cards, but now we can dig into them a little bit more. Outside of Viscera Seer, our creature sac outlets are fairly resilient, either getting their own counters or else gaining indestructible. While our noncreature sac outlets are less resilient, they offer potent abilities. Goblin Bombardment will offer us a bit of extra burn damage with each creature we sacrifice, while the Altars will pay us back in mana. The Altars in particular can lead to explosive turns if we have enough minions to do our bidding. Sometimes, though, we don’t want to just sacrifice our creatures, we need our opponent’s creatures to die too. For those situations, we have a hefty chunk of removal spells to clear the way and keep our opponents off balance. I pointed out that we’re particularly soft to enchantments, and that’s evident in our removal choices. Cyclonic Rift and Crosis’s Charm are temporary solutions to the problem, but unfortunately, if we want to send enchantments to the graveyard, we’re going to have to make some compromises. Originally I had Oblivion Stone and Nevinyrral’s Disk as ways for clearing the board of enchantments, but these cards present a problem: eight of our ten pieces of ramp are mana rocks. We may destroy everything, but there’s a good chance that after popping an Oblivion Stone, we’re further behind that when we started. Then I remembered that All is Dust exists. We can swap this in over Disk as an answer to enchantments and creatures without endangering our acceleration. I still opted to included Oblivion Stone as a last resort nuke to blow up a table. Other than Oblivion Stone and All is Dust, we have four other Wraths (five if you include Cyclonic Rift). Of these, Damnation, Blasphemous Act, and Toxic Deluge are classic Commander removal spells. Last One Standing is a relatively new card, and I’m excited to try it here. If there’s a token deck at the table, Last One Standing will almost certainly blow up the important creatures, but even if there’s not, there’s a chance one of our creatures gets to be the lone survivor. As Mason from the Underdog’s Corner describes it, as long as you’re not trying to kill one creature in particular, Last One Standing is an incredible value for the rate. It’s important to note that these Wraths can often be played proactively, to clear a way for our dudes. If our opponents can’t reestablish a board, our creatures will be ready to threaten them the following turn. There’s one last hidden removal spell I want to point out: Living Death. True, this spell does have a weakness; if an opponent is playing a graveyard themed deck, they can potentially get more value out of Living Death than us. Still, the potential to swing a game in our favor if a bunch of our dudes end up in the graveyard is huge, and the fact that we can often leverage this spell into wiping out opposing boards is great, too. We just have to be smart about when to cast it. I’ve tried to focus on the elements of this deck that are particularly synergistic. I won’t go into detail about our draw spells and ramp, as they don’t really offer anything novel, though I would like to point out that I opted for draw spells that self inflict some damage to ensure that we always have somebody we can swing at for Dethrone triggers. So far I’ve already tried to describe a few of the omissions and swaps I’ve made. In truth, this is one area where Lokotor’s Primer was the most insightful to me, offering me perspectives from somebody that’s gotten to play the newer cards firsthand. If you were to read any portion of Lokotor’s Primer, read the ‘Notable Exclusions’ section. It details the cards most popularly played on EDHREC that don’t actually play out as well as they might appear. Even so, I would like to summarize a few of my thoughts on a handful of my final cuts. The most challenging card for me to cut was Herald of Secret Streams, as it appears to be the perfect card to help us bypass our enemies. This is the one card in particular where I’m choosing to trust Lokotor’s opinion, although it’s on my short list of cards to test if I’m missing some closing power. Essentially, the argument against Herald is that we simply don’t need it. Our creatures should almost always be coming out ahead in combat by virtue of the fact that Marchesa keeps them alive. Our opponents can’t favorably trade with us, and if our opponent has a board of giant creatures that don’t care about our smaller dudes, we probably wouldn’t want to send dudes in that player’s direction anyway for fear of the crack-back. However, perhaps the most compelling argument to me is that if we need to get through a stack of dudes we can simply Wrath them away, leveraging the relative invulnerability of our creatures. A suite of cards I was originally excited about are big spells that steal creatures: Molten Primordial, Insurrection, and Mark of Mutiny. I’ve seen these sorts of cards firsthand, as my Nightmare deck used to play them against me. Insurrection or a well timed Mark of Mutiny is a death sentence for someone playing a big ol’ green deck, like I tend to. The biggest problem I always have with these cards is that, though they are great when they work, they also rely heavily on our opponents having creatures worth stealing. For this reason, I selected for reusable and modal versions of these cards. Cytoplast Manipulator, Zealous Conscripts, and Hostage Taker all represent utility beyond simply stealing a creature, so they all make the cut. I pointed out briefly that Kiki-Jiki, Mirror Breaker is an option for this deck if you would like to have an additional combo. I ended up going with Deathbringer Thoctar as my combo piece since it fits our strategy more synergistically. Kiki-Jiki could still be okay in this deck, but making token copies of most of our creatures isn’t the most exciting, since we’re relying so heavily on grinding value from sacrificing our dudes. I could still see swapping this in if I end up wanting to bolster our combo-kill. Lastly, I wanted to make a note on removal. Lokotor is playing Unstable Obelisk as an out to enchantments. I’m not the biggest fan of Obelisk, given that it costs us 10 mana if we need to get rid of something in the same turn. I’ve decided to try out Oblivion Stone here despite the threat it poses our artifacts, but I like that it will also act as a last resort reset of the board. I hope this article has been an interesting introduction to this mini series, and I hope I did justice to one of the commanders that still gives me nightmares. I plan to give this deck a shot in real life to see how it feels to be dishing out the pain instead of taking it.